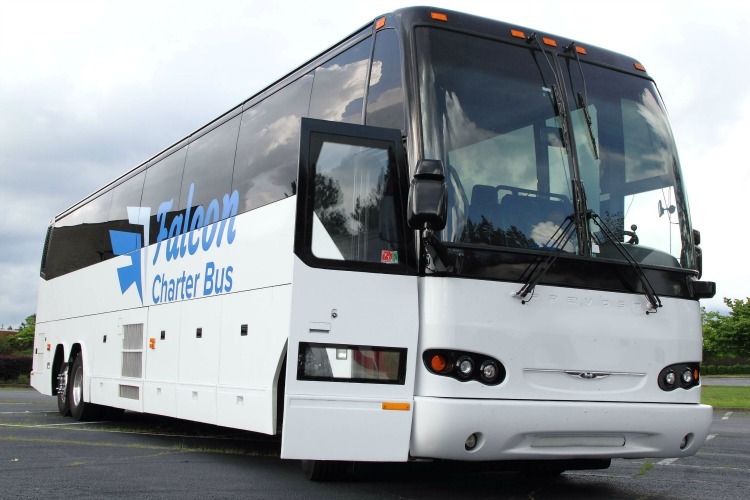 Contact Falcon Charter Bus for easy and efficient bus rentals in Athens, Georgia. As the top-rated bus rental company in the Southeast, we’re always prepared to handle all of your Athens group transportation! Call our 24-hour reservation team at (706)-534-7092 to get started. Falcon Charter Bus books clean, reliable buses to Athens events of all types, from sporting events to weddings, college tours, business meetings, and more. We only charter coaches with updated and modern amenities and ensure that every bus is operated by a professional, reliable driver, leaving your group in safe hands. 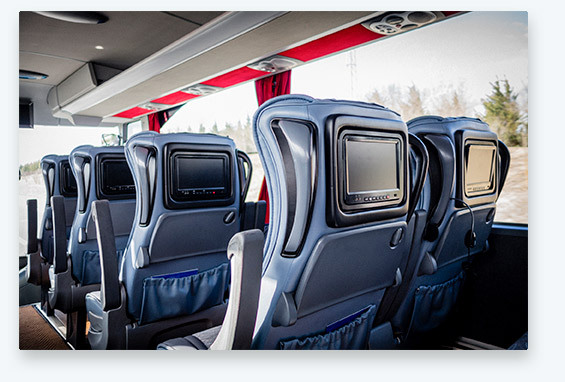 Enjoy amenities such as air conditioning to beat the Athens heat, reclining seats to make for a comfortable ride, and entertainment options such as televisions, DVD players, auxiliary plug-ins, and more to keep all passengers occupied. Whether you’re heading in to support the Dawgs, bringing in students for a campus tour, or organizing a large event, we’ve got all of your transportation needs covered. Organize all event attendees to conferences at the Georgia Center, weddings at the UGA Chapel, and all other large group events. We’ll help you shuttle guests between your venue and your hotel so that no guests will end up lost during your event. Guests also won’t need to worry about walking or taking separate cars, and everyone can enjoy the benefits of traveling together with a designated, professional driver. Load your fellow Dawg fans onto a personal minibus and head to Athens to support your favorite sport. Wanting to spend a Saturday tailgating before a football game? Load your snacks, drinks, and other tailgating gear right onto your bus so you’ll be prepared to start celebrating when you get to Athens. If you’re in need of transportation for your local school or little league team, we’ll find a charter bus to perfectly accommodate all players, staff members, and coaches, plus plenty of room for luggage and equipment. Ride in complete comfort to all of your team’s away games with Falcon Charter Bus. Whether it’s a field trip, college tour, or Greek event, we’ve got everything you need to transport passengers to your next group school event in Athens. With a variety of bus sizes available, we’re able to accommodate small groups for campus tours or entire fraternities and sororities for off-campus events. Whatever your needs, we’ll find the perfect bus for you. Falcon Charter Bus makes it easy to travel into or out of Athens from anywhere in the Southeast. With service extending to Atlanta, Charlotte, Tallahassee, Tampa, Miami, and more, rely on us for all of your travel needs within the region, no matter what you’re traveling for. Call our reservation specialists any time at (706)-534-7092 to learn more about how we can help with all of your travel plans to Athens. We’ll find the perfect bus for your group’s specific needs and ensure that your trip progresses smoothly, no matter where you’re headed!